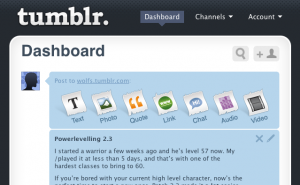 Tumblr is a Blogging platform similar to WordPress and Blogger. 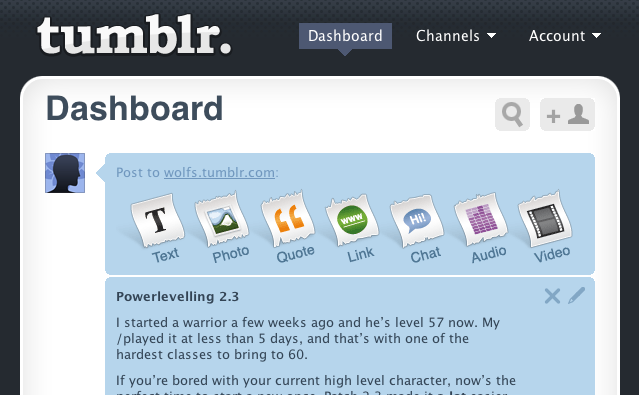 You can easily create your tumblelog and start posting. With Tumblr you can easily write articles, share Photos, Videos, Links and many others from your Browser, Mobile and email. You can easily customize your theme and add your own domain also. I tried creating my own tumblelog and it just took 2 minutes to create it. You can easily modify the themes and do many things. It is not as complicated as WordPress(But I love WordPress). Moreover Tumblr is 100% free. So if you are using Tumblr here are some simple methods to take a backup of your Blog. You can use the Tumblr API and write some scripts to take a back up of your articles. Tumble-log Backup – Simple Web application which will backup Tumblr posts into a HTML file. i’ve used tumbler for some time and i have to say as a developer hosted blogging engine it’s so much better than WP, yet when it comes to self hosted blogging WordPress is the king. in the Old days i used to download the whole site pages on tumbler when i was backing it up and then post one by one. glad to know that there is such web tool to solve this obstacle.